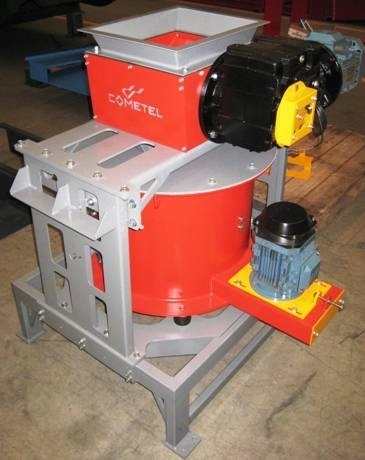 During the 28 BIEMH that will be held in Bilbao from the 2nd to the 7th June, GRUPO COMETEL will be present at the HALL 3 BOOTH B18, where we will show a Chip Treatment System called “ Monoblock “ .It is a compact System composed by a crusher and a centrifuge. With this system, we can reduce the size of the Chips and also we can centrifuge them to recover the oil or coolant. It also is used for preparing the chips for other processes such as briquetting, foundry. The oil and coolant can be reused so there is also offers as money saving. It is a flexible and a mobile system, both for individual machines or for new materials.